Aboard the Disney Cruise Line ships adult guests can enjoy an elegant meal at Palo. 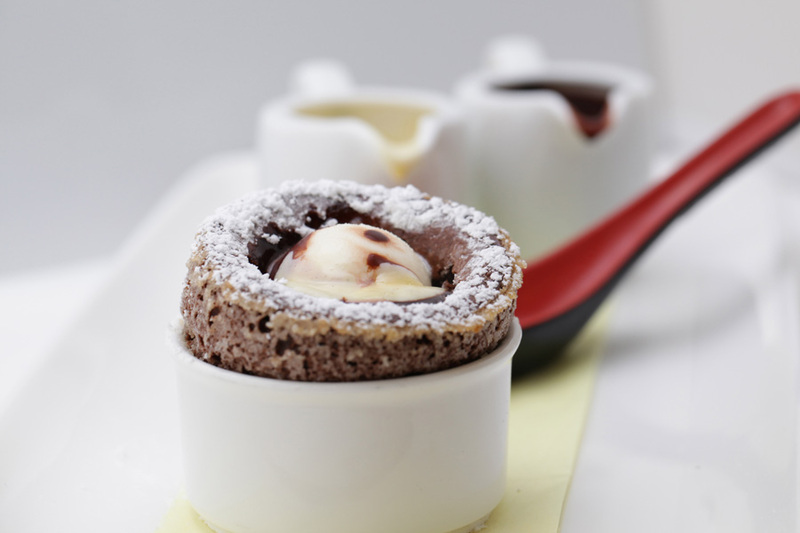 One of the most popular desserts offered is the Chocolate Soufflé. This recipe serves 6. Bring the milk to a boil in a small saucepan; meanwhile, melt the butter in a medium saucepan over medium heat. Add the flour and cocoa to the butter and beat with a whisk to a smooth, paste-like consistency. Reduce heat and cook for 1 minute. Thanks to the Disney Parks Blog for sharing this recipe!